This paper formalizes and analyzes cognitive transitions between artificial perceptions that consist of an analogical or metaphorical transference of perception. The formalization is performed within a mathematical framework that has been used before to formalize other aspects of artificial perception and cognition. The mathematical infrastructure consists of a basic category of ‘artificial perceptions’. Each ‘perception’ consists of a set of ‘world elements’, a set of ‘connotations’, and a three valued (true, false, undefined) predicative connection between the two sets. ‘Perception morphisms’ describe structure preserving paths between perceptions. Quite a few artificial cognitive processes can be viewed and formalized as perception morphisms or as other categorical constructs. We show here how analogical transitions can be formalized in a similar way. A factorization of every analogical transition is shown to formalize metaphorical perceptions that are inspired by the analogy. It is further shown how structural aspects of ‘better’ analogies and metaphors can be captured and evaluated by the same categorical setting, as well as generalizations that emerge from analogies. 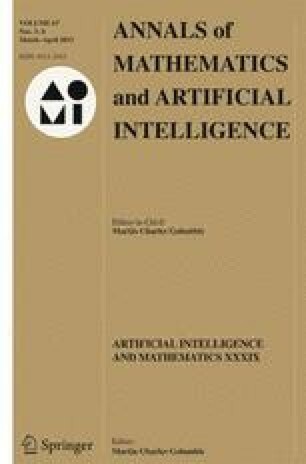 The results of this study are then embedded in the existing mathematical formalization of other artificial cognitive processes within the same premises. A fallout of the rigorous unified mathematical theory is that structured analogies and metaphors share common formal aspects with other perceptually acute cognitive processes.